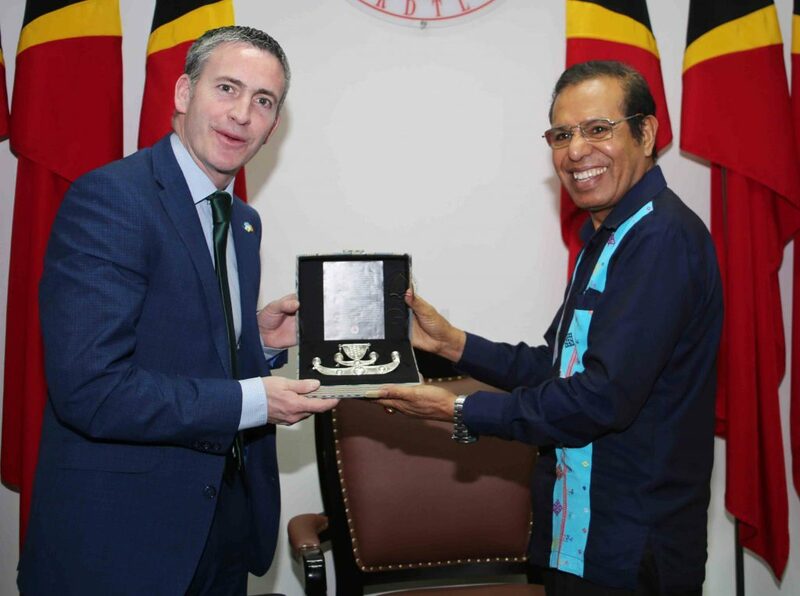 Dili, 19th March 2019: HE, the Prime Minister, Taur Matan Ruak, welcomed, this Tuesday, the working visit from the Minister of State for Housing and Urban Development, Damien English, in the Government Palace, in Dili. During the meeting, the Irish Minister and the Chief of Government exchanged ideas regarding the historical processes of both countries, which, in the past, were struggling for their independences, and today are both republican countries. They further extended their analysis over possibilities to solidify the amicable relationship and cooperation between these two countries. The Irish Minister, similarly, reiterates the Irish Government’s commitments to strengthen the cooperation with Timor-Leste in the future, specifically in areas such as agriculture and education, among others, aligned with the National Strategic Development Plan’s policies, and promised that the Ireland Fund provided to support Timor-Leste will be reinforced.